We received the huge parcel week later. 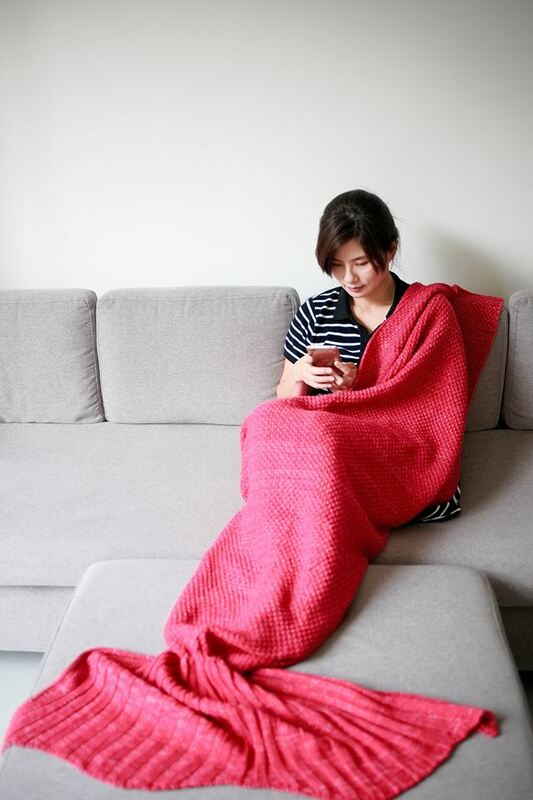 The blankets came in perfect condition, we love that the blankets are good in quality, where they are very soft, cuddly and great feeling touching it. The colors are nice just as how it seen on the website. They are very comfortable and keep warm well. The mermaid blankets have been a great buy for the rainy and cold season here, we have been snuggle into it while watching TV, reading a book, playing tablet, having a nap while the closed footed design have been protecting our leg temperature very well. We have washed it separately before first use. 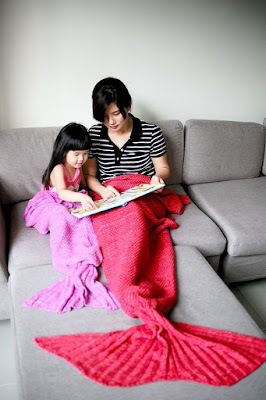 According to Fun and Tails, this knitted mermaid blanket can be machine washed and line dried thereafter. They recommend that we do not wash the blanket with items containing zippers that might snag. Preferably put it in a wash bag and Do not tumble dry. 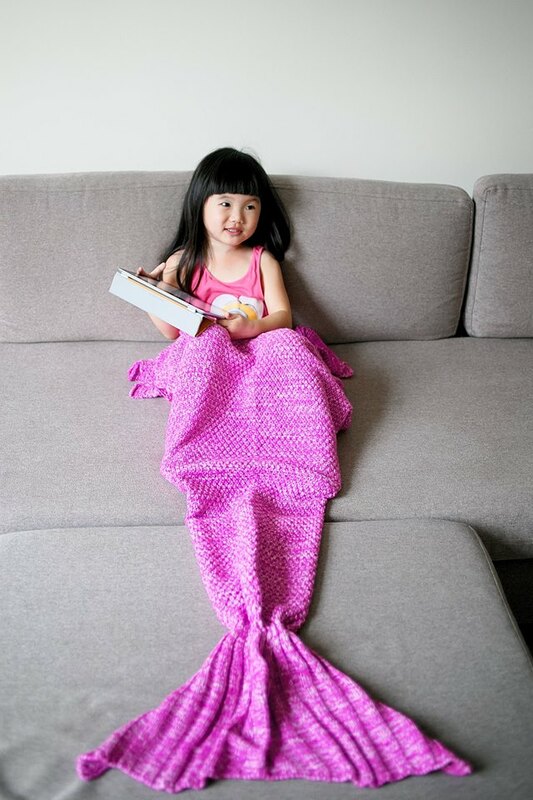 Every girl in our house is a mermaid now. 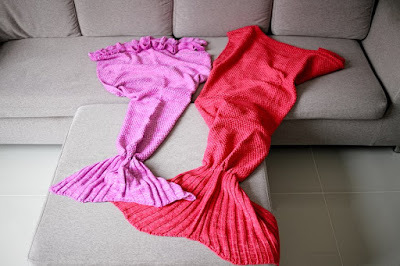 Go to funandtails.com to make your purchase now and enjoy the fun time together with your loved one. So cute! I want to have one too. wow so cute both of you! shall let my friends know they wanna buy as gifts! 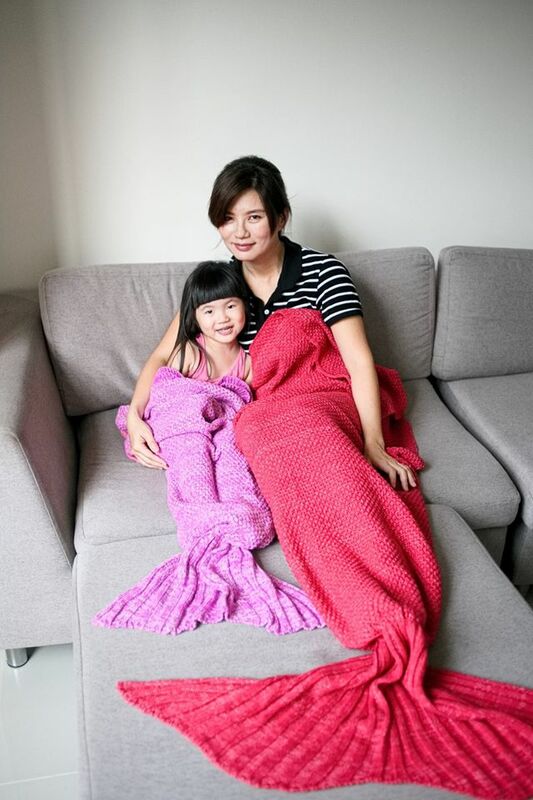 That has got to be the cutest mermaid tails for Mother and Daughter! Looks good and functional at the same time! So cute!! I want it~~~~~looks so warm!! Omg!! You guys look adorable with that mermaid tail blankets! Oh gosh, I love these tails. I need one as well. Am going to browse through the website tomorrow! !